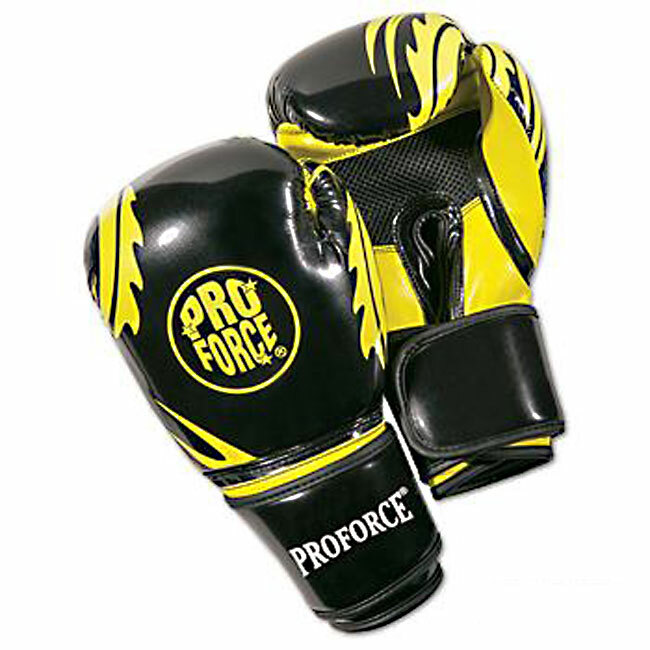 Proforce Combat Boxing Training Gloves come in 8 vibrant colors. 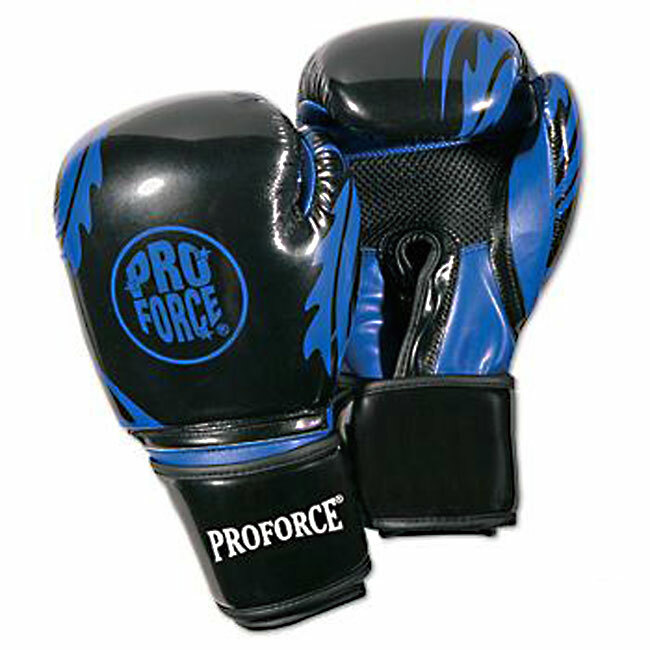 Gloves are black with a vibrant color design. 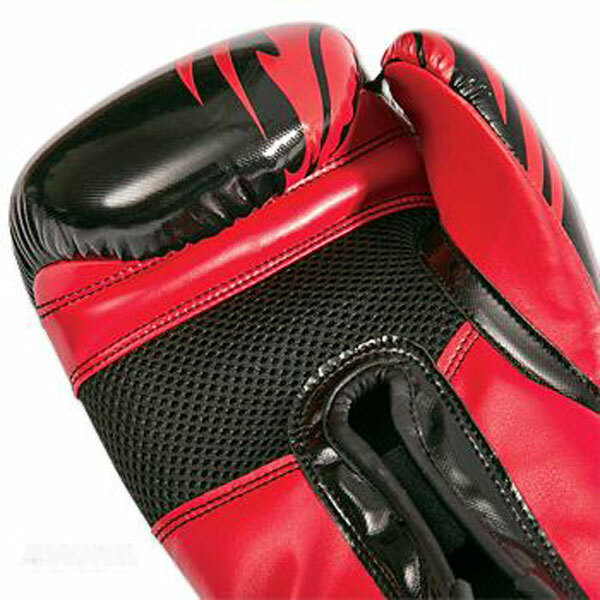 Gloves are mold injected for padding. 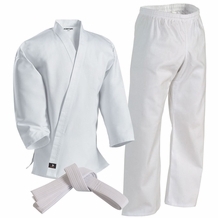 Mesh grip and inner lining allows for ventilation and palms cool during competition/practice. 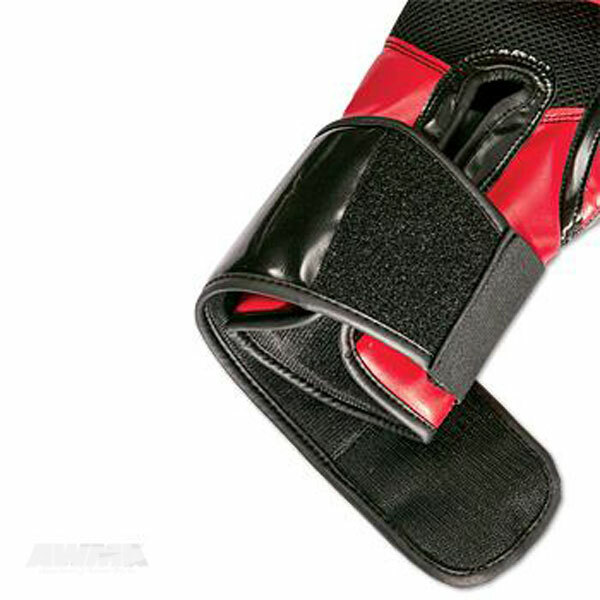 Velcro wrist strap with support stabilizer with inner elastic closure allows for protection and comfort when in use. Thumb lock keeps thumb in place to avoid injury. 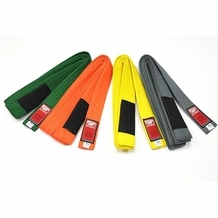 Wrap is 3.5" wide and is easy to adjust with the hook and loop for wrist support and protection. 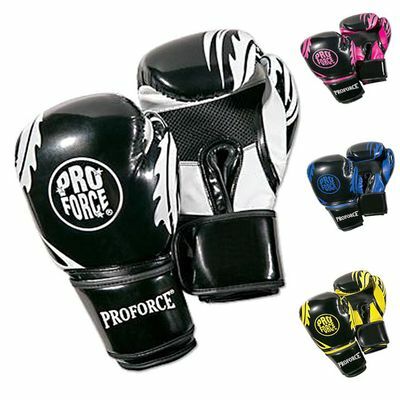 Gloves are only available in 12 oz. 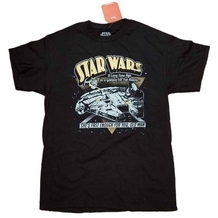 Constructed of durable synthetic leather and vibrant color design for the perfect style to show off. Gladiators choice for the stylish yet comfortable two tone gloves. * Thumb lock keeps thumb in place to avoid injury.